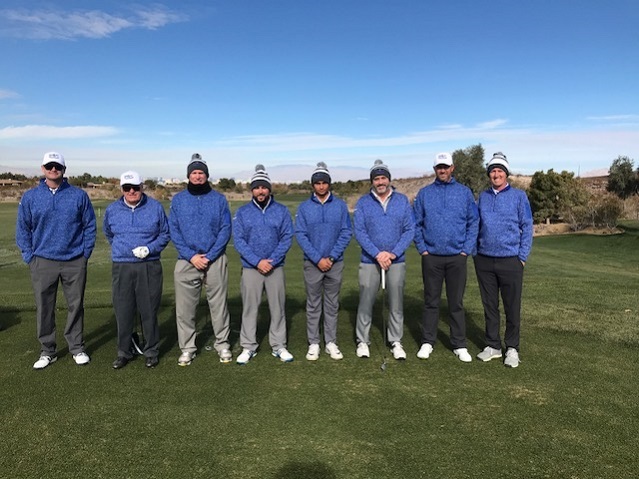 The Southern Nevada PGA Chapter raced out to a 3-point lead after the first day and went on to beat the Southern Nevada Golf Association team 8½-to-3½ in the 2018 Southern Nevada Cup held Dec. 3-4, 2018. 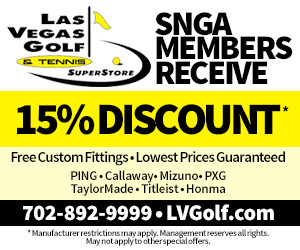 The Southern Nevada Cup series is now tied at two victories apiece.— By Bill Bowman, Las Vegas Golf Insider staff. The two-day, invitation-only event was played at Las Vegas Country Club and Anthem Country Club. The opening round at Las Vegas Country Club was best-ball. 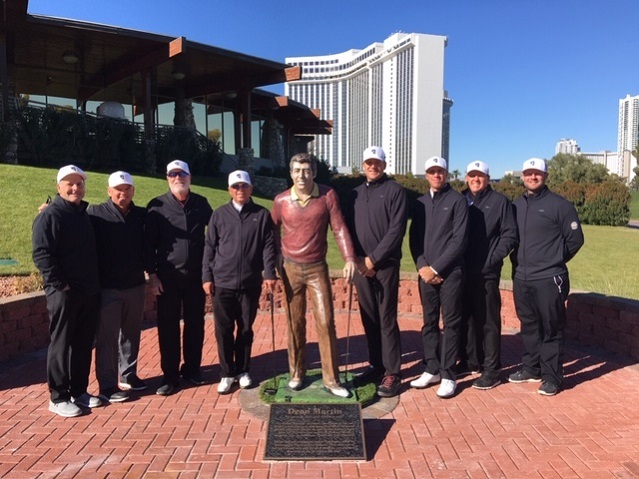 The Southern Nevada PGA Chapter won the round, 3½ to ½.
John Turk and Frank Abbott rallied the SNGA in the opening match of the event. They birdied the 18th hole in their match against Tom Fischer and Kim Dolan to earn a half in what would turn out to be the SNGA’s only scoring of the day. The next three matches all went to the Southern Nevada PGA Chapter: Landon Nelson and Jason Edmiston beat Greg Horodesky and Alex Jordan, 1-up. Matt Henderson and Wes Weston beat Daren Johnson and Wes Taylor, 3-and-1. Travis Long and Darren Stanek beat Ed Fryatt and Eric Bauman, 4-and-2. The second day, played at Anthem Country Club, saw the Southern Nevada PGA Chapter again take control, winning the singles portion 5-3 to secure the cup. 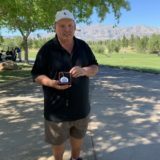 Southern Nevada PGA Chapter winners included: Jordan (3-and-2 over Dolan), Edmiston (3-and-2 over Fryatt), Stanek (3-and-2 over Johnson), Fischer (8-and-7 over Abbott) and Weston (2-and-1 over Turk). SNGA winners were: Taylor (4-and-3 over Long), Baumann (4-and-3 over Henderson) and Horodesky (4-and-3 over Nelson). 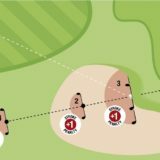 Brand also wanted to give credit to the Southern Nevada PGA Chapter –especially the two host courses and their pros, Edmiston at Las Vegas Country Club and Long at Anthem Country Club. “Our guys really want to give them thanks for having us out to these great courses,” Brand said. Nelson said it gives players the chance to interact on the course in a competitive format.